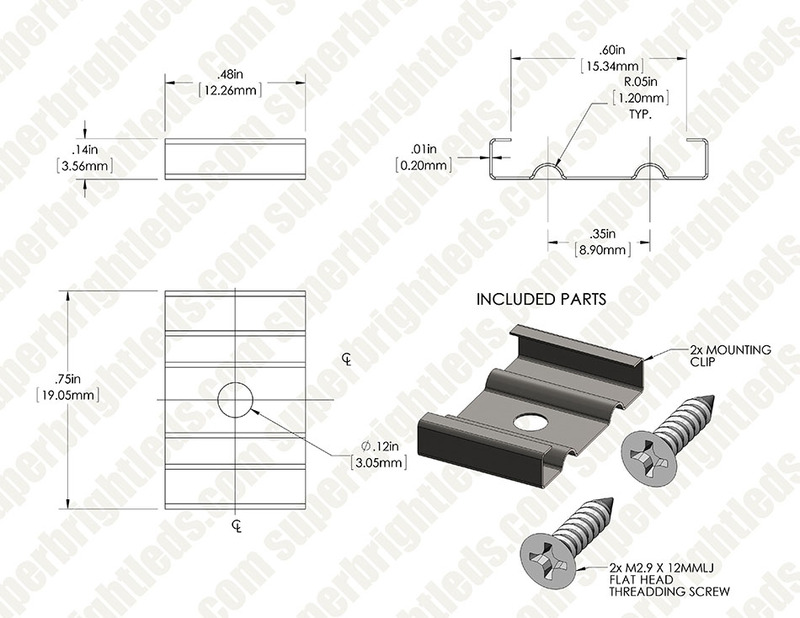 These mounting clips are compatible with SBL Pro series Flexible Surface Mount Aluminum LED Profile Housings. 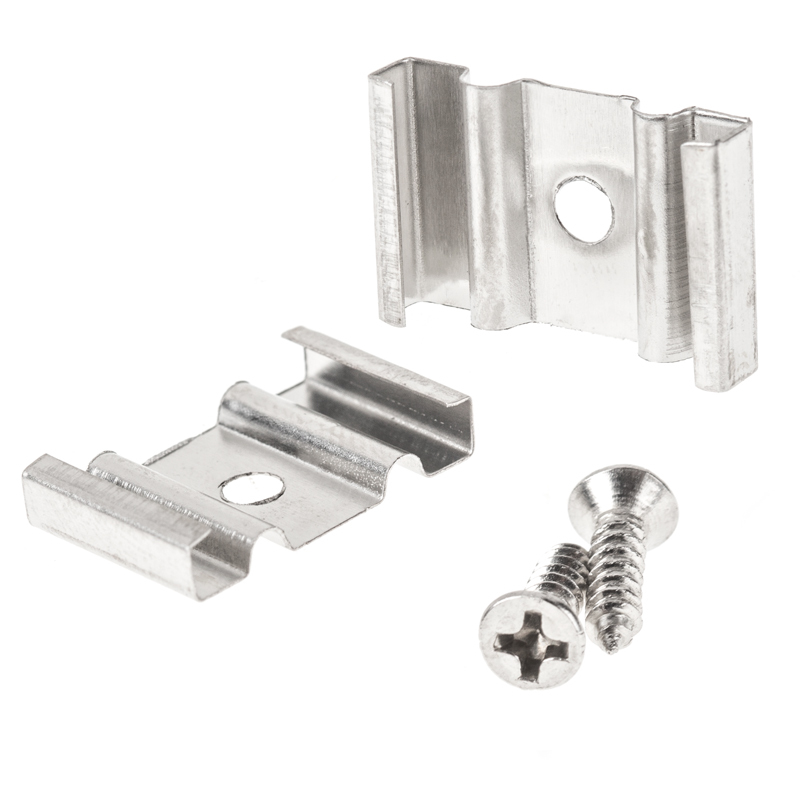 Each metal clip has a 3.38-mm (0.13") diameter hole for screw mounting. 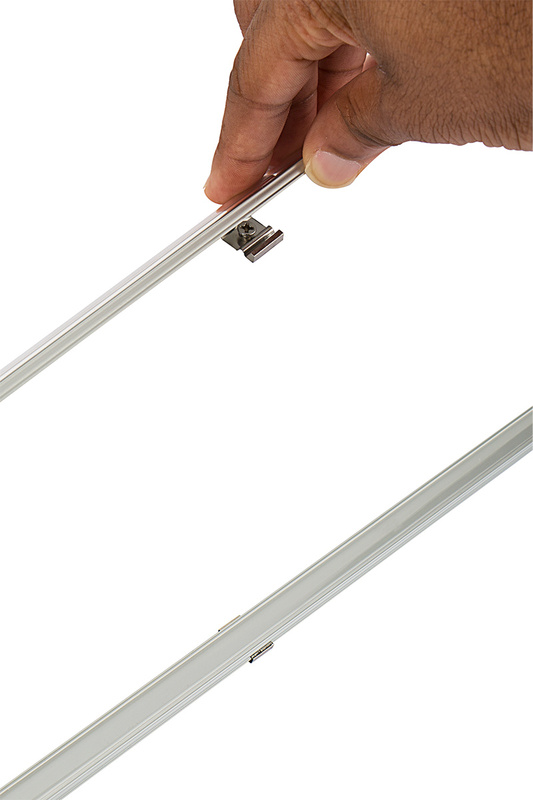 A single pair is recommended for 1m housings, and 2 pairs are recommended for 2m housings.